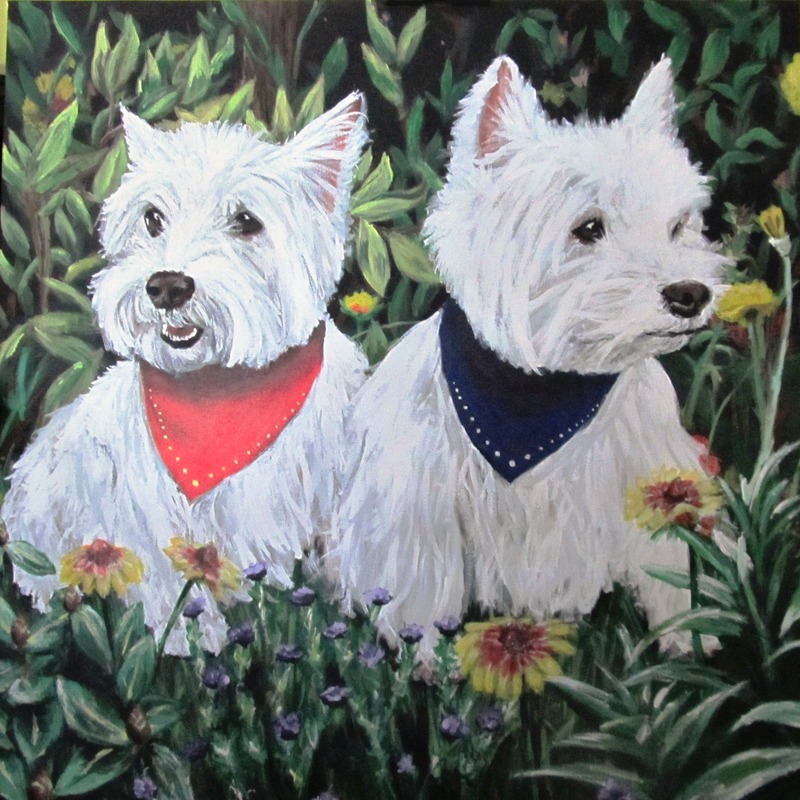 Memorial portrait of West Highland Terriers Fancy and Grumpy. Acrylics on 24×24″ stretched canvas. Summer 2011.